Why Caves Need to be Protected. and not impaired, in value. Because caves are located underground most people think of them as out of sight and out of mind. They figure that nobody is going to care if they spray-paint the walls or leave trash. Many caves, not only in Maine but also all over the world have been treated this way. If caves don't receive the protection that they need, they will soon be destroyed forever. 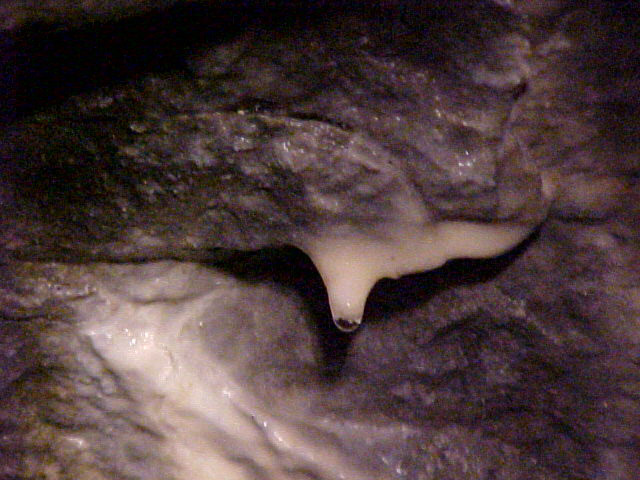 Another reason that caves need to be protected is because they have rare formations that took thousands of years to form, such as stalactites and stalagmites. Speaking scientifically, caves also play a very important role in our society. They help keep track of climatological changes in the area that they are located in. Also, in caves where there is a body of water, changes in water levels can be noted along with being able to monitor chemical runoff from the land. A formation that took hundreds of years to form.